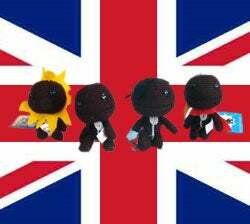 LittleBigPlanet developers Media Molecule must have a lot of knitted Sackboy plushies lying around the office, because they've just announced a deal where anyone living in Britain can get one for free. Yes, if your postal address is anywhere in the United Kingdom of Great Britain & Northern Ireland or the Republic of Ireland, all you need to do is sign up at MM's YouTube page then send Sony Europe an email. After that, return to your work, wait patiently, and a few weeks later (provided they haven't run out, as there are "only" 5000 available), you should get a free Sackboy plushie.